According to Transportation for America, pedestrians will always take the shortest and the most reasonable path, even if that means jaywalking. Photo by Gateway Streets. The rapidly growing car culture in Mumbai has led officials and urban planners to compromise pedestrian infrastructure for car-centric and congestion-easing strategies. According to the Times of India, although 44 percent of citizens walk some distance to work, the pavements dedicated to pedestrian safety have been shrinking. As a result of such design decisions, pedestrians now make up 78 percent of all road fatalities. Bikes and three-wheelers follow, making up 7 percent and 4 percent of road fatalities, respectively. Pedestrians make up an alarming majority of road fatalities in the developing world, but this disturbing phenomenon is not unique to the developing world. The World Bank and the World Health Organization estimate that car occupants account for almost 60 percent of road fatalities in developed countries, but the lack of pedestrian infrastructure has been making some headlines over the last year. On April 20, 2010, Raquel Nelson and her three children set out to cross Austell Road, a five-lane road, in their suburban town in Atlanta, Ga. They had just gotten off the bus, which dropped them off across the street from their complex. Following the other passengers coming off the bus, Nelson and her three children waited for a break in traffic and walked across the road to the median, to again wait for another break in traffic. When one of the other pedestrians made a run to the other side, Nelson’s four-year old son, A.J., followed, letting go of his mother’s hand. At that point, A.J. was struck by an oncoming car. After hitting A.J., the driver sped off, fleeing the scene of the crash. A.J. was killed by the hit-and-run driver. It was later revealed that the driver who struck A.J. was blind in one eye and had been drinking and using pain killers before he got behind the wheel. He was convicted and served six months of a five-year sentence. A.J.’s mother was also convicted of reckless conduct, improperly crossing a roadway, and second-degree homicide by vehicle by the jury. Her conviction carried a sentence of 36 months, for which she asked for a new trial and was granted her request by Judge Katherine Tanksley. In the meantime, Judge Tanksley sentenced Nelson to 12 months of probation. Raquel Nelson being charged with vehicular homicide struck a chord with Transportation for America, a coalition supporting an array of transportation policies. “According to the office of Cobb County prosecutor Barry Morgan, Nelson–who had no car at the time–committed vehicular homicide by attempting to cross a five-lane highway with her three kids to get to her apartment, after being let off the bus,” said the TfA article. Further enraging is that Nelson’s conviction came from a group of jurors who had never taken a bus in metro Atlanta. They had never taken two buses to go grocery shopping at Wal-Mart with three kids in tow. They had never missed a transfer on the way home that caused them to wait a full hour-and-a-half with tired and hungry kids for the next bus. They had never been let off at a bus stop on a five-lane speedway, with their apartment in sight across the road, and been asked to drag those three little ones an additional half-mile-plus down the road to the nearest traffic signal and back in order to get home at last. The Huffington Post echoed this point in an article published in July 2011. “Nelson, a black woman, was convicted by an all-white jury. She relies on public transportation; she is a pedestrian in a car-oriented Atlanta suburb. During jury questioning, none of the jurors who would eventually convict Nelson raised their hands when asked if they relied on public transportation. Just one juror admitted to ever having ridden a public bus, though in response to a subsequent question, a few said they’d taken a bus to Braves games. According to Transportation for America, road design and public transportation in suburban communities are not sufficient to address such traffic incidents and fatalities. What pedestrians will do, TfA explains, will be to take the shortest reasonable path. Ben Welle, assistant project manager of Health and Road Safety at EMBARQ (the producer of this blog), believes that these examples show the dangerous situations all road users must face when cities are planned only for cars. “The thing to remember is that the one thing that is always involved in a car crash is a car, so slowing them down through good design and shifting trips through high quality mass transit, walking and biking facilities can really reduce risk,” he says. In order to protect pedestrians, some cities turn to design tactics, like adding overpasses or underground tunnels. Mogilev, Belarus, for example, started constructing a 12-meter underground pedestrian tunnel in 2009 to help pedestrians avoid the heavily trafficked roads above ground. 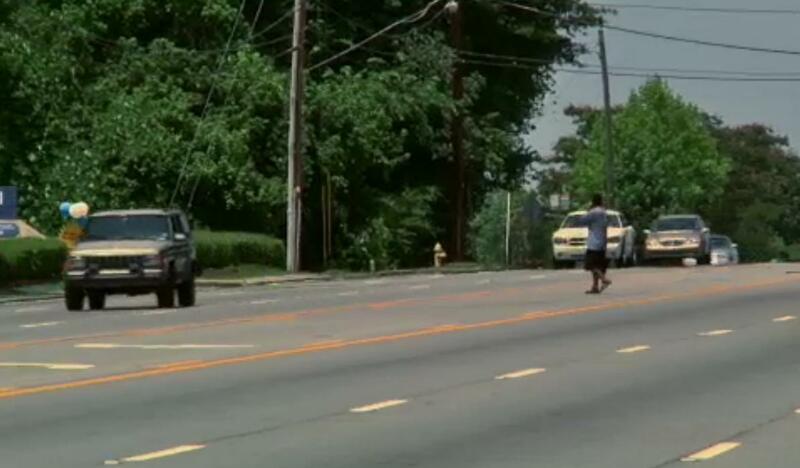 Cities also ticket jaywalkers to help curb road fatalities. What is your experience with pedestrian infrastructure in your city? Which design or policy strategies have you seen that work? Click on the image below to watch a special by PBS on jaywalking and pedestrian infrastructure. Dario Hidalgo argues in favor of reducing vehicle miles traveled, which would thereby reduce exposure and the chances of pedestrian road fatalities. Click on the image to watch the PBS special on jaywalking.